Very simple ones; but the beauty still attachs to them. Beautifully captured. 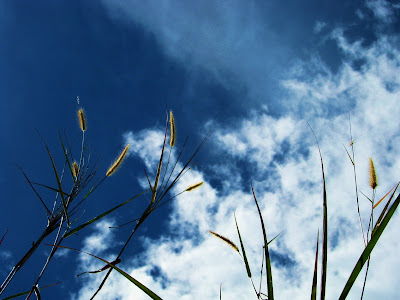 Love the tall grass flowers against the blue sky and clouds. Love the contrast between the lines of the grasses, and the puffiness of the clouds! I Love it u capture it's clearly the color of the grass.. Great Lina!